Translating between the dual languages of advanced technology speak and business terminology is a skill that is more in demand than ever. 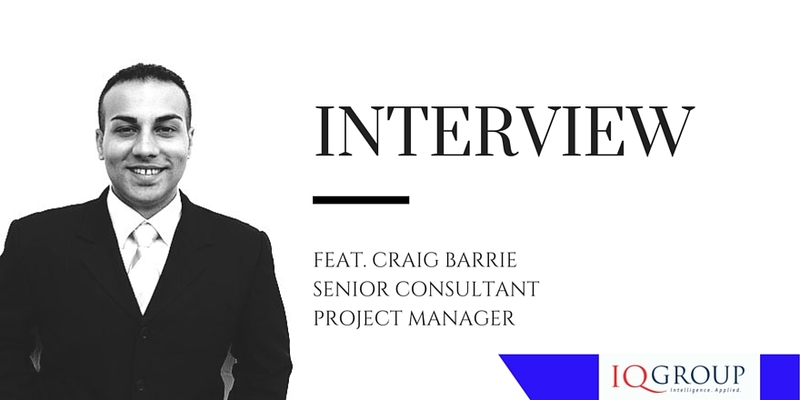 This week’s blog speaks to technology and business linguist Craig Barrie, Senior Consultant Project Manager who shares his insight into why analysing these two languages and building a bridge between two separate audiences is more important than ever. Read on to discover more about how to champion change. Why is it so important to translate the requirements of technology solutions to business decision makers and vice versa? Won’t the technology just drive the business changes we need? One thing that I have learnt through the two decades of experience in this industry in various roles is that language is more than ever determined by the demographic. So for the generation that is very comfortable with advanced technology requirements and ‘speak’ they assume that those around them also have the same level of understanding and therefore both want to, and can, keep up with the pace of discussions, decisions and implementation that they set. As most of the project sponsors don’t fall into this group, they are the more senior business decision makers – they don’t speak the same language. So post-SuperStream implementation why is this going to be so important? Haven’t we moved beyond the largest hurdles? Well in one word, no. We are now entering the world of ongoing innovation whereby technology can continue to evolve and innovate the business efficiencies and opportunities both industry and superannuation members need. For the technology translators this needs a holistic view and it is important to understand the pain points that the audience will need to go through to plan and deliver a business outcome. For the project sponsors it is recommended that you question the journey and understand the milestones that you need to make to complete the project. The end result is no longer one single focus; there will be requirements along the way to assess and refine budgets, implementation issues and over runs. You need to stay up to date with technology in order to understand it. So where is this going to take us in the coming years? We are at a transition point right now. The language for technology and business is both talking about the single journey that customers need. It’s not technology or business outcomes, it is really about how you can transform how and what you deliver to customers. This needs both sides of the discussion to take the time to understand the strategy behind project delivery and identify the gaps that may happen in the process. This is where the customer service glitches may appear, and this is what you both want to avoid. So the goal is to avoid the disconnect. Projects sponsors come forward and investigate what you are doing and IT teams – step up and focus on the whole user experience, not just your component. How do you build a career in this environment? Become or find a mentor. That’s my best advice. The way we do business in the super industry is now more personalised and this will continue. Members or customers will drive this process and we need to focus on creating more open dialogue with colleagues to effect the change that people require. I see great opportunity for those technology and business experts that can keep an open mind and foster change, creative blocks will shut down the conversations we need to have to innovate. Digital is the all-purpose catch phrase for the customer world we live in today. The use of technology, access to services and social media sees customers demand real time immediate services and straight through processing. In June 2012, the Reserve Bank’s Payments System Board (PSB) noted that some customer-facing innovations had benefited financial institutions and their customers. However, it also noted that market forces might not be sufficient to produce some innovations that are in the public interest, particularly those requiring collective effort to succeed (RBA 2012). To address these concerns, and recognising trends internationally, the PSB set out a number of ‘strategic objectives’ that included the ability for business and consumers to make and receive real-time retail payments. 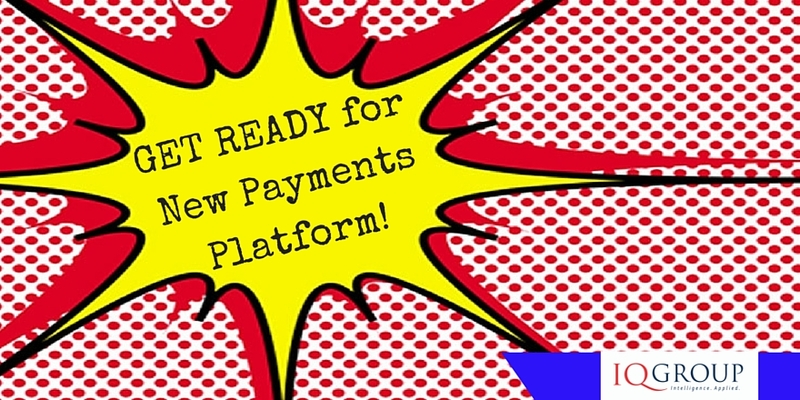 The batch driven overnight ( or multi day) processing nature of payments and settlements is currently going through a revolution thanks to Immediate real-time payments that are coming to Australia under the banner of the New Payments Platform (NPP). The Reserve Bank issues a strategic objective that payments, this The New Payments Platform (NPP), a real time payment infrastructure in Australia is expected to be operational in 2017. NPP is an industry response to Reserve Bank’s strategic objectives on payments and implanting the former “Real time Payments Committee’s proposal on innovation in the payments system. Connect all ADI’s together in a standardised way. This will allow them to process any kind of non-cash payment from one account to another. Enable funds to be accessible almost as soon as payment is received even when the payer and payee have accounts at different financial institutions. The platform is the necessary financial plumbing for the economy of the future. The platform will be able to support very fast end-to-end turnaround times to meet the needs of the digital age. Faster Payments – clearing and settlement of payments in seconds which will be available outside normal business hours (even 24 hours 7 days a week). More information – messaging standards that will enable richer remittance information with transactions. The impact on the entire financial services industry will take some time to realise, but the NPP will drive the market forces to produce innovation that is in the public interest – across Banking, Superannuation, Wealth Management and beyond. IQ Group has been part of the journey and continues in Australia…. The South African Banking system is considered to be early adopters of the real time payments platforms, and the IQ Group in South Africa has been part of this exciting journey since 2006. We will be looking to share the learning’s of the RTC system and how it can apply to the NPP rollout in Australia. The innovative possibilities from the NPP are exciting, as Customers demand real time transactions we will see innovation flourish. We will spend more time on the NPP, its roll out time table and implications in upcoming blogs and whitepapers. In this blog we take a look at our forecast for 2015 and run the ruler over where we stand. Were the changes constructive, or were we ‘tinkering’? See our report card on our progress to date. Taxation reform has been interrupted, which has also impacted n superannuation as well. With some items off the agenda at the beginning of the year, under a new Prime Minister and refreshed Cabinet- are again on the table. The Government now has the opportunity to make changes that will improve the superannuation system, especially if it fully implements the changes recommended by the Financial System Inquiry. Earlier this year I identified areas that would be changed these years but many of these remain unfinished business. I previously wrote that pressure to change to Preservation Age (currently increasing from 55 to 60 depending on your birthdate) would inevitably follow increasing the Pension Age to 70. However, even though an increase in the Pension Age was a key part of the Government’s long-term deficit repair program, legislation to give it effect was never publicly released for consultation – and there is no doubt it would have faced serious opposition in the Senate. Both the Pension Age and Preservation Age may now be revisited by the Government’s Inquiry – while neither are taxes, changes to either or both would have billions of dollars impact on the Budget’s bottom line. Changes to both are still likely and the gap between them may either be abolished or set at a fixed gap (e.g. five years). This is not just about the level of Government support. Not that many people are able to work full time until they are 70 years old; even now, up to 40% of people involuntary retire before they reach 65 years. This is supported by the Intergenerational Report released during the year that showed only small increases in the participation rate following increases in the Pension Age. The implementation of SuperStream has continued apace with few significant challenges. The ATO, employers and the superannuation industry have continued to work together well. The ATO has been flexible with implementation deadlines but in ways that have supported the controlled and orderly implementation and not unreasonably caused delays. The headline SuperStream statistics are impressive, and it looks like small business (<20 employees) and SMSF on-boarding is benefiting from the on-boarding of medium and large employers. Anecdotally, there are already reports of savings of hundreds of millions of dollars to employers, and these savings are likely to accelerate. Savings have been slower for super funds as they have still to recover the costs of implementation. As at mid-October, about 3.3 million contribution transactions were processed in a four week period, with more than 95% of medium to large employers (about 95,000) SuperStream compliance, and around one-third of small employers having already implemented SuperStream. This is at the higher level of expectations. The benefits of APRA Reporting, however, are not nearly as clear. Super funds have now lodged nine quarterly and two annual reports. At some considerable cost and difficulty, super funds have become relatively adept at lodging their detailed reports. APRA has been progressively increasing data and publications based on the reporting, but this still falls well short of what was originally promised. In particular, their much vaunted Data Dissemination Tool that was going to support quick, easy and detailed analysis is nowhere to be seen. Three new lots of disclosure to members were meant to come into effect on 1 July 2015 but only one of these – online disclosures – eventuated with remuneration disclosure delayed until October. The online disclosures cover a raft of measures, from director meeting attendance to copies of trust deeds, but it remains hard to find these documents on many super fund websites. The Government needs to think more clearly about what to do and where to go in relation to both Portfolio Holding Disclosure and a Product Dashboard for Choice products. In the meantime, both super funds and ASIC maintain their holding pattern – when the Government does decide what to do, I hope that they will give the industry plenty of time for implementation. One change that has not been delayed is the increase in the threshold for lost and unclaimed super to be transferred to the ATO. From 31 December 2015 this increases from $2,000 to $4,000, and then increases again to $6,000 on 31 December 2015. Legislation giving effect to this came was recently enacted, and the Government want to follow this up with other definitional changes that will mean even more lost super is sent to the ATO. These changes will impact most on large industry funds that have many young, transient members with low account balances. It will be interesting to see if the Government keeps the accounts balances at $6,000 or is tempted to raise the threshold even further. Throughout November IQ Group is going to take a look at some of the issues we identified in 2015, and felt were important enough to comment on. 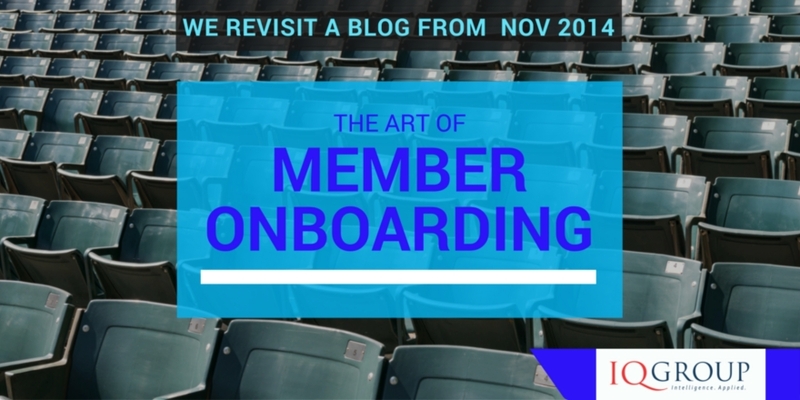 In this week’s blog we take a look at the issue of member onboarding. In a year which saw checking super fund balances come to the iPhone have we seen a new approach to staying in front of members? Here’s what Ron Mullins, Director – Business Development Network had to say. Originally the term ‘onboarding’ described the process of helping new employees gain the necessary skills and behaviours to become effective in their new organisation. 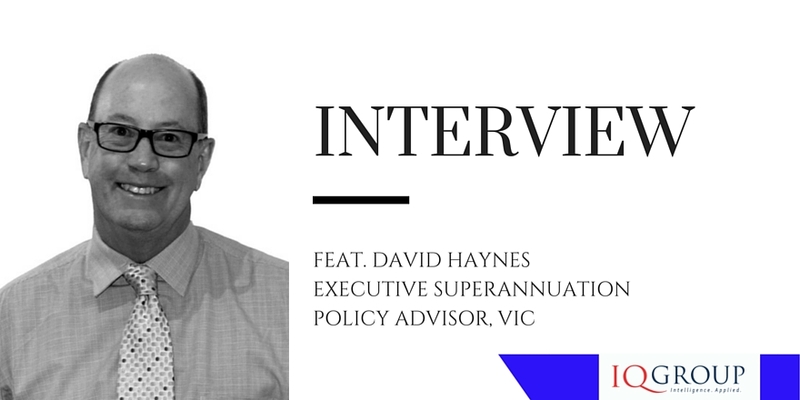 It now also resonates with superannuation funds as a process of familiarisation to members – through various channels such as print media, and technological and personal interactions. Where ever it is practised, onboarding shares retention as a key goal. But retention in the fund arena isn’t being achieved at any convincing level. This is because primarily the onboarding process is not delivering an optimal member experience. It tends to be convoluted and often subject to fund definitions and requirements that even the fund has trouble interpreting. The process is generally manual, intermittent and so distant from the initial customer contact that it carries little meaning for the potential member. The problem is that ‘onboarding’ is being used in place of ‘new member’ processes. It continues to be used for merely setting up an account, sending out a welcome pack and the annual statement, and with perhaps some online facility. Onboarding fails to build the necessary engagement essential for commitment. It is aggravating the indifference that members may have towards superannuation funds. The bottom line is poor member retention rates, lower levels of commitment and limited account consolidation. Let’s look at a fund example where 12,500 new accounts are created each month. A percentage of those will be cancelled due to any number of factors: contributions never being received; the account being set up in error by an employer; account duplicated due to poor data; or a member choice. If that cancellation rate is 13 percent – in addition to not engaging members or gaining their long term commitment, the simple economics of this situation is costing the fund hundreds of thousands of dollars each year. Using conservative estimates, the annual cost of chasing up these errors will exceed $1m. If you can achieve a 20 percent reduction in the error factor alone, you have the capacity to save $200k per annum. How do you do this? The answer is: improved employers processes, data validations and member identity checking. Typically, employee onboarding continues until the new recruit has gained the necessary skills and behaviours and becomes effective. They then transition into the standard performance management. To be effective in a superannuation environment, onboarding cannot be a one off, set and forget activity. It must become a service culture that underpins the entire membership lifecycle. Onboarding must be designed from the members’ perspective – to ensure they are provided with the skills, knowledge and behaviours to be effective in retirement. The three critical elements of engagement, interaction and trust must be present for ongoing commitment and retention. There is a hierarchy for these elements. Engagement accumulates from the initial experience. Trust and commitment develop with the ongoing experience – from interactions that are regular and meaningful. Members will then be able to confidently consolidate – recognising, of course, that factors such as fund benefits and features will also play a significant role in member motivation. A member may still commit and decide to consolidate, but without engagement and/or trust, retention is unlikely. Engagement, commitment and trust – all elements of customer retention – are a fine balancing act for funds to achieve.